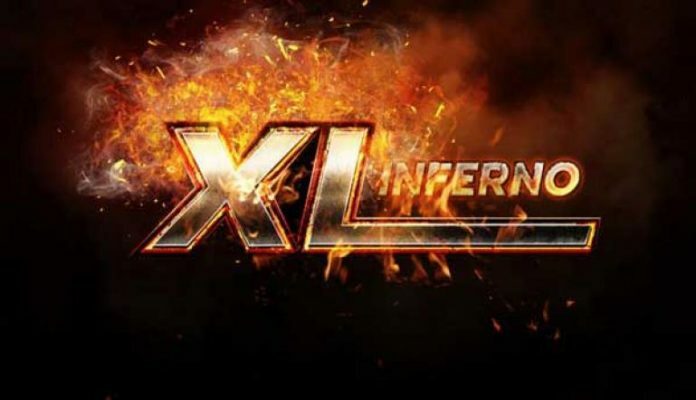 However, the latest 888poker XL Inferno Six Max tournaments still brought in the crowds as players went to battle over three short-handed tournaments with a total guarantee of $85,000. This $160 buy-in event came with a guaranteed prize pool of $50,000, but after 258 entrants came together, they had accumulated a pot worth $63,900 and a first-place prize worth $14,697. With the minimum cash set at $511.20, 30 players made the money spots before the final table of six was set. ‘LeoFerran‘ was the first to depart for $2,619 before the German duo of ‘allesrigged‘ and ‘POKERPRO2.0‘ took away $3,834 and $5,112 in fifth and fourth place respectively. ‘Charlymogo,’ another player representing the German player pool, was the final player to fall before heads-up play got underway as they exited with the bronze medal and $7,668. This left ‘TankeVicius‘ and Sweden’s ‘Mrpiink‘ to do battle and it was the Swede who got the better of their opponent for the title and first-place prize as ‘TankeVicius’ added $10,224 to their bankroll as runner-up. The Mini Six Max featured a $30,000 buy-in and a $20,000 prize pool after 505 players registered. After a solid performance from German players in Event #28, it was the country’s flag that sat in the first-place position in Event #29 after ‘resilience32‘ took down the title. ‘Csabicsekk‘, ‘luegenlord2‘, ‘luegenlord2‘, and ‘tyalot30‘ were all able to make the final table but unable to make it into the final two spots before ‘resilience32′ defeated Austria’s ‘PhoenixRuffy‘, who took away $2,870, for the winner’s prize of $3,870 and an XL Inferno title. The Late Six Max kicked off at 9 pm WET and gave players a final chance of Six Max victory. The prize pool beat the guarantee as it reached $16,200 after 230 players parted with the $55 buy-in. The top 30 were all paid minimum cash of $129.60, with ‘HappySh00ter‘ the first player to fall at the final table of six for $664.20. ‘adebisi5‘ was the next to depart and banked $972 for their efforts, with current world #23 and former 888poker $500,000 5th Anniversary Mega Deep winner ‘josef_shvejk‘ having to settle for the fourth-place prize of $1,296. ‘Jesusisback‘ just missed out on the final battle and banked $1,944 in third as the UK’s ‘acezzkingzzz‘ and Romania’s ‘ilovefish888‘ played out for the win. The difference between first and second prize was the considerable amount of $1,134, and it ultimately was ‘ilovefish888’ who went the distance and picked up the gold medal prize worth $3,376. ‘acezzkingzzz’ was rewarded with $2,592 for their second-place finish.